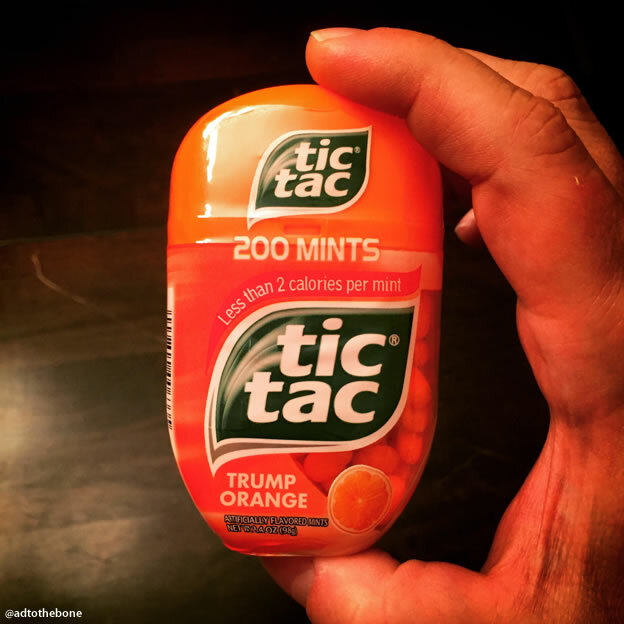 Limited Edition Trump Tic Tac — Grab ’em today! This entry was posted in mascots!, packaging, parody, product! and tagged donald trump, marketing, mints, orange, parody, product, spokesman, tic tac, trump, trump orange on November 6, 2016 by Clayton Hove.